Schedule a Demo See and experience the features and options we have to offer. 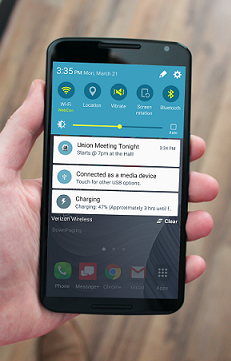 Give your members the convenience of managing their union membership from their smartphones. 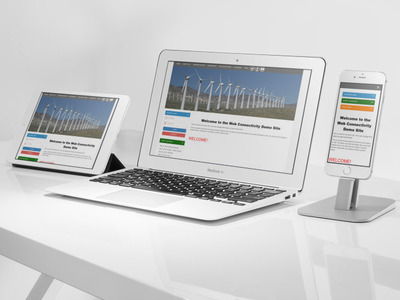 Manage the content that you want your members or visitors to see. 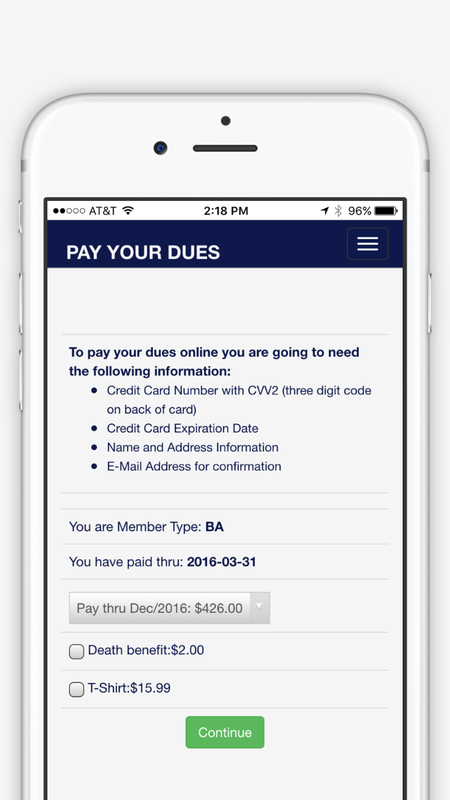 Have the convenience of recieving dues payments online. 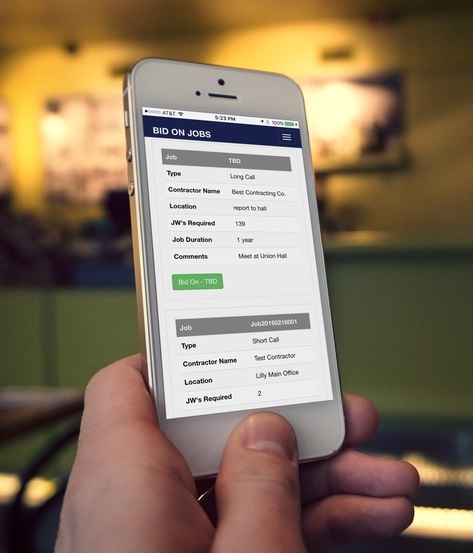 Cut the constant phone calls and let your website and/or mobile app handle the job bids. 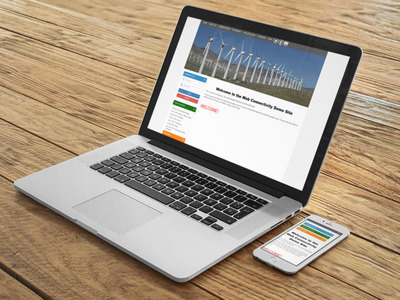 Get important information to your members via text message, email and push notifications. Receive your members' updated addresses and contact information online. 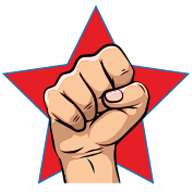 Get an account on Unions Get It for your local. 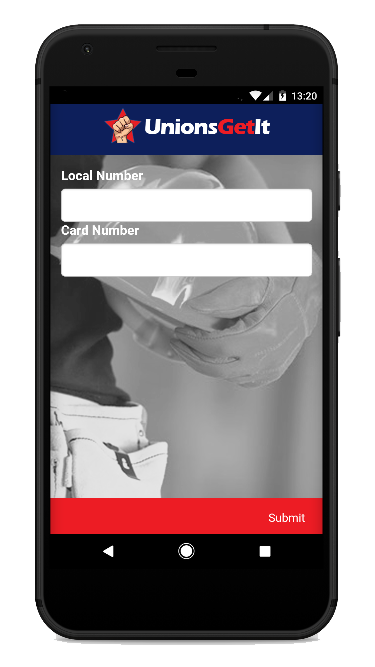 Give your members the quick and convenient way to bid on jobs, pay their dues and update their contact information directly from their mobile devices! Relay information to your members through push notifications. 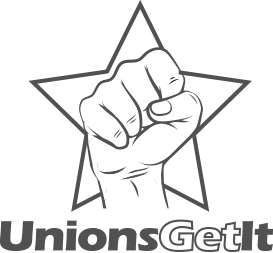 Unions Get It is developed on the & platforms. 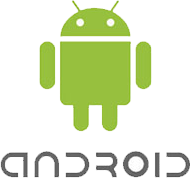 Web Connectivity also builds customized apps based on client's requests. Process transactions online using MasterCard, VISA, Credit, and Debit Cards. 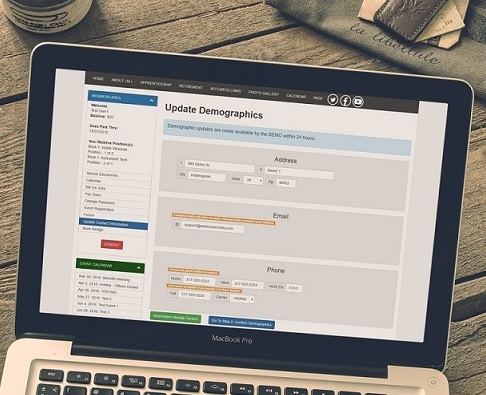 We offer union websites that integrate with ICS and other member management systems to determine the classifications of members and the amounts that each member should be paying for dues. Members can pay dues monthly or quarterly with a credit card, debit card, or e-check, and even have the ability to pay ahead. You, as the system administrator, can configure the dues amounts by member classification You can also configure additional items, such as death benefit amounts, fund contributions, or merchandise such as shirts, hats, and more. Send out quick notifications about events, jobs postings, etc. to your members through mass emailing, mass texting, and push notifications. Make your job easier by allowing your members to send their contact information changes online. When a member submits changes to their contact information, you will receive a report with the changes. Please submit your information and we will contact you at our earliest convenience.